With people shifting towards various e-channels to consume any form of information, the number of websites publishing news and blogs has skyrocketed. Majority of news channels and various other companies get their websites specially designed to publish their news and blogs systematically and feed the information-hungry audience. 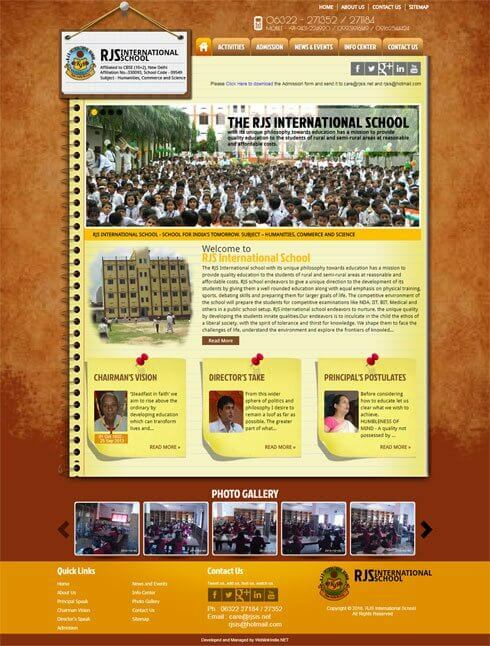 WeblinkIndia.Net specializes in designing news and blog publishing websites for all. Whether you are in the entertainment industry, news industry, or any other specific industry, we can design a stunning news and blogs website to keep your target audience engaged. Backed by an industrial experience of more than 18 years and a team of zealous professionals, we are capable of designing, developing and promoting custom-made websites for your news and publication business. At these portals, numerous features can be added for making the user's experience better. These include highlighting bestsellers or breaking stories, blog listings, review or editorial columns etc. Our website designed by us offers online buying of hardcopies and e-books, which is something many people look forward to. Get your News & Publication Website designed from us and also have it optimized for better visibility on search engines. We believe that in such websites, the value of written content is more as the target audience comprises of readers but at the same time, the influence of this text material can be improved with the use of various graphics and images. Why Choose WeblinkIndia.Net For News/ Blog & Publications Web Design?